Set up a Twitter Account and Follow up to 5,000 of your target audience. A large proportion will follow you back and those that don’t can be unfollowed so that you can follow some more. This could be a particular niche or businesses / consumers in a certain geographical location. Whilst you are building followers and when you have thousands of followers, send out information, tips, offers, competitions and advice that would be useful and of interest to your target audience. Use your personal Facebook account to connect with potential customers and partners, also create a Facebook Page and get your friends, potential partners and target audience (clients etc) to like and share your page. Whilst you are building likers & followers and when you have thousands of followers, send out information, tips, offers, competitions and advice that would be useful and of interest to your target audience. You can also set up groups for your target audiences and get some of those to join your group where you can also share information, tips, offers, competitions and advice that would be useful and of interest to your target audience. Make sure you have a good LinkedIn profile page that covers everything that you do including all of your skills and which links to your company website, blog and Facebook page etc. Also add links to any video that you might have etc. Also create a Company page on LinkedIn (you need an email address on a registered domain to do this) and regularly post information, tips, offers, competitions and advice that would be useful and of interest to your target audience via your LinkedIn company page and your regular posts facility on LinkedIn. Finally on LinkedIn regularly connect with lots of people in your target audience on LinkedIn (but not to many all at once though as LinkedIn can block you). 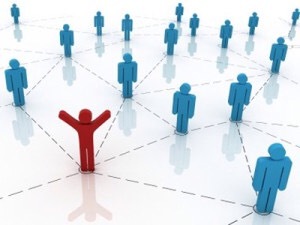 Also join lots of groups full of your target audience and connect with them via the group (Something linkedin allows you to do more aggressively than just connecting with people). Create a blog or ideally add a blog to your existing website or get a new website with a blog already included and start blogging regularly about your business, products and services etc. This can help to improve the Seo of your website and get it associated with more keywords to help you get indexed more regularly the search engines and helping you to appear higher up and more often in the internet page ranks. You should have an existing website or get a new website and create great keyword written landing pages for your business, as well as every single product and service and geographical area covered etc. This will help to improve the Seo of your website and get it associated with more keywords to help you appear higher up and more often in the internet search engine page ranks helping you to get more enquiries. Are you looking for more genuine targeted twitter followers in a niche or target industry sector or geographical area? Here at MA Consultancy in Cardiff, we can provide a manual targeted twitter follower build up service for prices from just £50 to £200 per month. Choose from the building up of followers in a specific target industry or niche sector (say you like to market and sell to Accountants, Architects, Retailers, Restaurants, or Solicitors etc.) or choose a specific Geographical location (such as all consumer or all businesses in Cardiff, just the Bay or South Wales etc.) and we will follow 200 accounts a week for you (for 4 weeks – For just £50 a month), 400 accounts a week for you (for 4 weeks – For just £99 a month) or 800 accounts a week for you (for 4 week – For just £200 a month). If you have a good product or services for the target audience you’re after, and you make yourself look good and sound relevant to the audience, then you should get a decent percentage (between 20% to 80% of the followers), follow you back. These followers will then remain with you for ever (as long as the don’t unsubscribe down the line – a good content marketing strategy can help with this), meaning that you then have a new database for communicating for FREE with, allowing you to inform them about your products, services, offers and events etc. There is no contract for our service, its just a month by month rolling agreement. You set up a monthly DD for your chosen amount and can choose to cancel this at any time should you wish to stop the service. What to do if you want to subscribe to one of our Twitter follower build up packages? Sign up to the Monthly DD. Email us your @name (Twitter Username and password) and niche target audience or geographical area and we will get going with your service. Looking for an Online Marketing Agency in Cardiff? Maybe you’re looking for any of the following services? We can provide our services from just £100 a month, our training from £200 (for a 3 hour course), and consultancy from £250 (for 5 hours in a month). 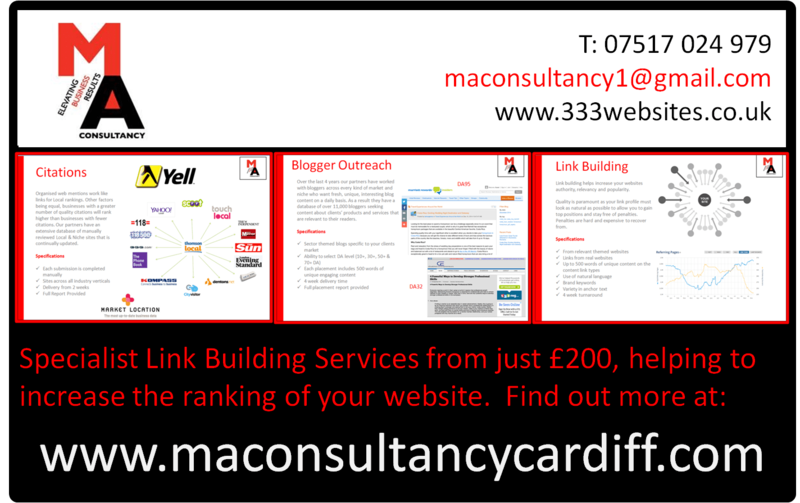 You can get some of our Link Building Services Cardiff, South Wales, Wales for prices from just £200. Do you or anyone you know need a self employed job or a secondary income? Cardiff Web Design & Development Company 333 websites is currently looking for Self Employed / Entrepreneurial Website Resellers. You could build your own business reselling websites completely from scratch or add an additional revenue stream to an existing business and gain an initial revenue from the sale of the new WordPress website as well as regular income from the hosting, support & management of that WordPress website, whilst you can also build up a portfolio of clients (with good stickability that web customers offer), in order to provide yourself with great up-sell opportunities for synergy services such as Graphic Design, Content Writing, SEO, Marketing, Photography etc. How the website reseller opportunity in Cardiff & South Wales works? We would build you a white labelled WordPress website for you to sell your new websites from (branded as your own and similar to our website; www.333websites.co.uk), and we will make this fully automated for taking payments and providing us with the creative specification that we require etc. We can also provide you with branded business cards and brochures etc. to help you with the sales and marketing of the websites. Our experienced web design & development team then works with the design specification and the customer to build the required website. You just have to account manage the client and provide great customer service (we can help you with that). Who this Website Reseller opportunity in Cardiff & South Wales would be ideal for? If you are interested in discussing this Website Reseller opportunity in Cardiff & South Wales further please call: 07517 024979 or email: info@333websites.co.uk . 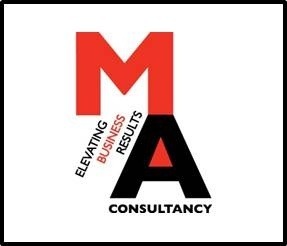 As well as providing many business Services Online and Offline themselves, MA Consultancy also works with many trusted & reliable business service providers, who offer a wide range of business to business products or services. 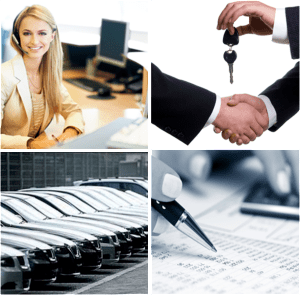 If you would like to have a meeting with a professional to request a quote or for a free consultation, with some advice and knowledge about the business products or services that you require, please complete the contact form on the relevant business services page you are interested in, by clicking the link and seeing what service providers we work with. Want your Business Service added to our offering? Time for a new customer contact & marketing app for your Business? Thought about an app for your business? 62 % of adults in the UK own a smart phone. At Mynt, they are excited to have launched a new low cost Google and Apple downloadable Customer Marketing and Appointment App for your business. Why have an app for your business? Mobile apps are the fastest ever growing industry. Having your own app for your business will really put your business ahead of the competition. You have fancy website and are on Facebook and Twitter so what can a customised mobile app do for your business? It will provide all your business information on your customers mobile phone. Customers will have Sat Nav directions straight to your front door and you can provide Free Push Notifications to all of your customers. Want more information about the new and extremely cost effective business apps (prices starting from under £200)? Call Mynt now on 02920 226620 quoting code MAC15. If this business app is not for you but you know of someone who may be interested, please forward the link to this post onto them by email. There maybe something in it for you! If you are a Restaurant Owners or Cafe, Bar or Coffee Shop owner with a regular customer base, and you want to regularly update your customers with information and offers about your business as well as manage appointments, then why not consider one of our new industry leading, feature packed but easy to use Restaurant app? Display Gallery pictures via your app. All of these functions can be managed by the Restaurant Owner or marketing manager via a very easy to use control panel / back office! Or you can have both! We also offer a Professional Design Service & Expert graphic design service as part of the app build process! What the new innovative Restaurant App costs! The Set Up Fee for the Dentists App is just £199 + VAT. The monthly cost of the App is £29 per month if billed annually or £39 per month on monthly billing and there is no contract involved with the app. If you would like a new Restaurant app for your business or require more info please email: maconsultancy1@gmail.com or call: 07517 024979 . Social Media Training Wales: Are you struggling to set up Social Media accounts to help you with your business marketing? Social Media Training Wales: Are you struggling to get up to speed with using Social Media for business marketing? Social Media Training Wales: Do you need help using using Social Media more time efficiently? Social Media Training Wales: Are you running out of content ideas for your Social Media? Social Media Training Wales: Are you looking for Twitter Training Wales? Social Media Training Wales: Are you looking for LinkedIn Training Wales? Social Media Training Wales: Are you looking for Facebook Training Wales? Social Media Training Wales: Are you looking for Google+ Training Wales? Social Media Training Wales: Are you looking for Pinterest Training Wales? Social Media Training Wales: Are you looking for YouTube Training Wales? Social Media Training Wales: Are you looking for Blogging Training Wales? Social Media Training Wales: Are you looking for WordPress Training Wales? If you answered yes to any of the above questions then you should consider Social Media Training or Social Media Training Wales (for businesses in Wales). 1. We can provide Social Media Training Wales to Businesses in Wales who are looking to get set up on Social Media accounts they are not already currently set up on! 2. 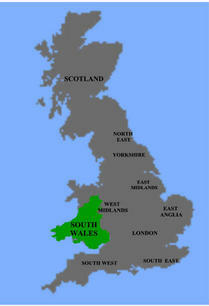 We can provide Social Media Training Wales to Businesses in Wales who are looking to improve their Business Marketing. 3. We can provide Social Media Training Wales to Businesses in Wales who are looking to plan a social media marketing strategy! 4. We can provide Social Media Training Wales to Businesses in Wales who are looking to get up to speed with Social Media marketing including learning their terminology and language as well as clever tricks to get more out of the work that they are doing! 5. We can provide Social Media Training Wales to Businesses in Wales who are looking to use their Social Media more efficiently or to improve their return on time invested (ROTI)! 6. We can provide Social Media Training Wales to Businesses in Wales who are running out of ideas for content on their Social Media! 7. We can provide Set-Up, Standard & Advanced Twitter Training Wales? 8. 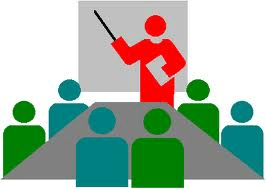 We can provide Set-Up, Standard & Advanced LinkedIn Training Wales? 9. We can provide Set-Up, Standard & Advanced Facebook Training Wales? 10. We can provide Set-Up & Standard Google+ Training Wales? 11. We can provide Set-Up, Standard & Advanced Pinterest Training Wales? 12. We can provide Set-Up & Standard YouTube Training Wales? 13. We can provide Set-Up, Standard & Advanced Blogging Training Wales? 14. We can provide Set-Up, Standard & Advanced WordPress Training Wales? Where do we provide our Social Media Training Wales? We can provide our Social Media Training Wales in a number of Hotels, in South Wales, Regus Offices or at your offices anywhere in Wales or the surrounding areas. What are the costs for Social Media Training Wales? Our Social Media Training Wales is available for 3 hours, a full day, a number of days, or a full week! 1. Our 3 hour social media training course Wales costs £200! 2. Our full day social media training course Wales costs £500! 3. Our multi day social media training course Wales costs £500 x number of days (up to 4)! (Buy 4 days and get the 5th Free)! 5. 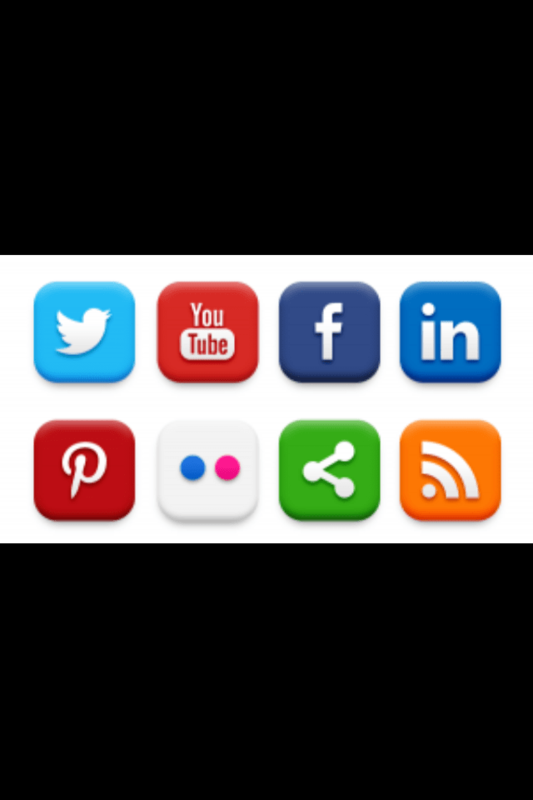 We can tailor our social media training Wales to suit your requirements. Please get in touch for more information? How to book your Social Media Training Wales? Content today is most definitely not king. You’re shocked? I say this because there seems to be a skewed misconception of what the term “content” means. Too often marketers produce thin content as a way of generating quick web traffic and increasing conversion rates. This content can no longer be classified as royal. In her predictions of digital trends in 2015, Mari Smith says brands will gather and integrate data more deeply to truly personalize content. “This content will have a more light-hearted feel, including the use of selfies and micro-video clips shot on location with smartphones, giving the consumers the fly-on-the-wall impression.” This is the type of content that strikes me as being king. Poor quality content campaigns often come down to a lack of knowledge about who is targeted and what they really want. Take J. C. Penney Company, for example. It was once a well-known brand offering discounted merchandise, but decided to rebrand around a strategy based on how the customer should be valued and not cheaply bought. The tone of voice took the premise of “enough is enough,” presuming that is how customers felt. Little did J. C. Penney know that its customers actually embraced the value of discounted merchandise. This epic fail led to a drop of 20% in sales and a gradual decline ever since. What does this say to us as content marketers? Listen to your audience. As Smith and Handley suggest, personalization is key, but you can’t personalize without knowing your audience. By listening and monitoring, you will gain insights into your audience’s preferences and interests, as well as content it regularly shares. Ben Harper provides more detail on what data to look out for when analyzing a content marketing strategy. Pulsar is a new social-intelligence platform that allows you to track, analyze, and engage with everything in the social stratosphere. You can monitor the engagement levels of a specific piece of content, as well as viewing its visibility. 1. Give your tracking search a title and list the URL you want to track. 2. Exclude words. This step is more useful when tracking certain keywords, however you can block any shares of your content that involve certain words. 3. Enter specific information regarding your target market. You can choose the country and language, as well as filter the platforms and sources. 4. Select to track real-time or historic data, or both. Given the fact that we are monitoring our existing posts, the historic data option should be used. These searches bring back extensive data and present it in a number of formats. In the following screenshot, I share the most frequent elements I use to capture the overall activity and engagement levels of a piece of content. The activity report shows the amount of shares, retweets, mentions, etc., of the selected URL. From here, you can click any point on the graph to show each mention and who made it. The next set of data is a subset of the “influencers” data and represents the number of shares, as well as the linkages between them. As you can see, the bigger the circle, the more influence that particular share of your content had. Hover over the circle for more specific data or view the compiled list of users who shared your post. This is useful for identifying industry influencers and people to whom you should target your content. The next report shows the overall visibility of each share. This chart evidences not only the amount of views for your content, but whether they were positive, negative, or neutral. This can be used to analyze whether the type of content you are creating is right for your audience. I am most familiar with Hootsuite as a tool for social listening. It allows users to monitor specific target audiences through the identification of relevant keywords related to the topic or industry. When you enter a search term into a new tab, Hootsuite collects and presents real-time data from your target audience from an abundance of social platforms and provides great insight into what members of your target audience are saying. From here, you can build a good understanding of their interests and build your brand persona and content strategy accordingly. Next up is identifying what type of content your audience regularly shares to understand what type of content you need to be sharing with it. The best way of tackling this topic may seem extremely simple, but Twitter lists are a great way of tracking popular content. This page allows you to quickly scan through thousands of users who met your search query. By selecting the bio choice (bottom left), you can quickly skim through bios, making it easy to decide whether the user is one you want to monitor. Once you select the users to monitor, simply click “selected,” “add to list,”and “create new list.” You now have a list of either influencers or consumers. You can access this list using Twitter or Hootsuite (I recommend the latter). If you are not an avid user of Microsoft Excel, I would suggest you become one. I use it to create a content review template to document any analysis extracted from social networks. Create organized tables with specific sections such as consumer interests, time of day tweeted, popular topics, format of content shared, etc. It may sound simple, but you will be surprised by how many marketers ignore documenting valuable information at every opportunity. You can download an example of the content review template that I use below, which includes headers such as platforms, post title, time of day mentioned most, topic, word count, type of content, potential reach, amount of shares, and link to URL. When you brainstorm your content for 2015, ask yourself: Is this the kind of content that would make my audience tick? Use the data from your social-listening tools. Instead of posting generic content, you can post content that your audience actually wants – and return your content to its rightful title – king. Want to learn more about how to leverage analytics in your content creation? See and hear from the experts and speakers at Content Marketing World. Check out our Video on Demand portal. The post Social Listening Tools to Strengthen Your Content Marketing appeared first on Content Marketing Institute. Not just a Black Friday special offer for Businesses…. Our Christmas / Winter Special offer is to double up on all of our Services for No Extra Cost. As you can see from visiting our online shop we offer a number of Marketing Services & Training Services for prices from jut £100. With all our services you can buy either time or actions and the double up offer gives you twice as much service as usual for no extra cost. If you are looking for Marketing Services / Web Marketing Services or Marketing Training please select the service of interest and purchase via the online shop (remembering that you’ll get twice the time or amount than that quoted on the online shop). If you want to discuss the price for a tailored marketing solution or a combination of a few of our services in one package, please call: 07517 024979 or email: maconsultancy1@gmail.com . 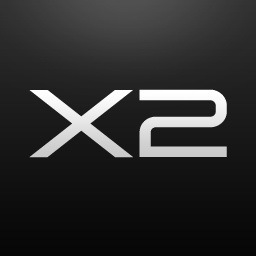 The double up offer is valid for the months of November to January. Welcome to the new special offer web marketing package for Corporate Companies for Christmas! This special Corporate Web Marketing Package is available from now up until 31/12/14. 6 Months Web Marketing for £500 per month. That’s a total of just £3,000. & 6 Months of Advertising via the MA Consultancy & WelshBiz Websites, Blogs & Network of Social Media Accounts with over 200,000 followers. To subscribe to the special Corporate Web Marketing package or to discuss your web marketing requirements further please call: 07517 024979 or email: maconsultancy1@gmail.com . You might also like these other Christmas Marketing Offers.